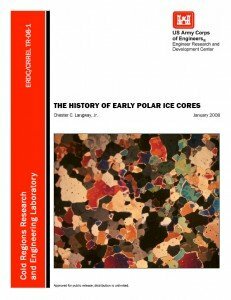 The following is an abridged review by Cliff Bekkedahl of the book On Sea Ice published in the July 2010 issue of the Polar Times. “Many an author exhibits command of a subject, but only a rare few reveal it with such an engaging writing style as has Professor Weeks. He eases you through a great deal of complex scientific material that encompasses the life cycle of sea ice, and I presume that when wearing his “Willie” hat, the professor would forgive most readers, except perhaps students, for page-flipping past the bulk of equations, formulas and graphs that underpin the science of sea ice. I say this because the author himself makes every effort to leaven his topics with gentle wit, learned quotes from fields afar, and unpretentious discussion of his research and field experience spanning the past five decades. “On Sea Ice goes far beyond a treatise or exposition of a physical phenomenon. 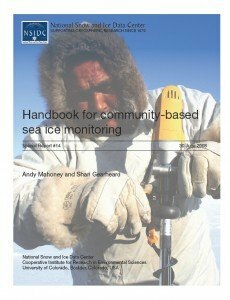 It’s a lifetime love affair revealed, and the reader is not only informed but also elevated by sharing the intellectual commitment to this important dimension of the polar environment.” “On Sea Ice belongs in every professional library” and with all who are infused with the sea ice environment. 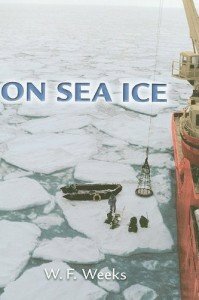 Books 3 and 4 are highly recommended reading for those pursuing studies of or having an interest in sea ice. 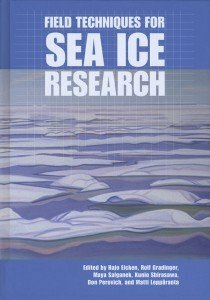 The latter book will be the definitive reference on most all aspects of sea ice for decades to come.